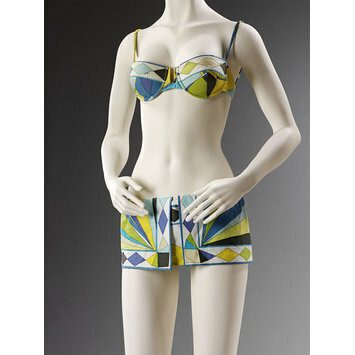 Given by the Bruce family, worn by Mrs David Bruce. 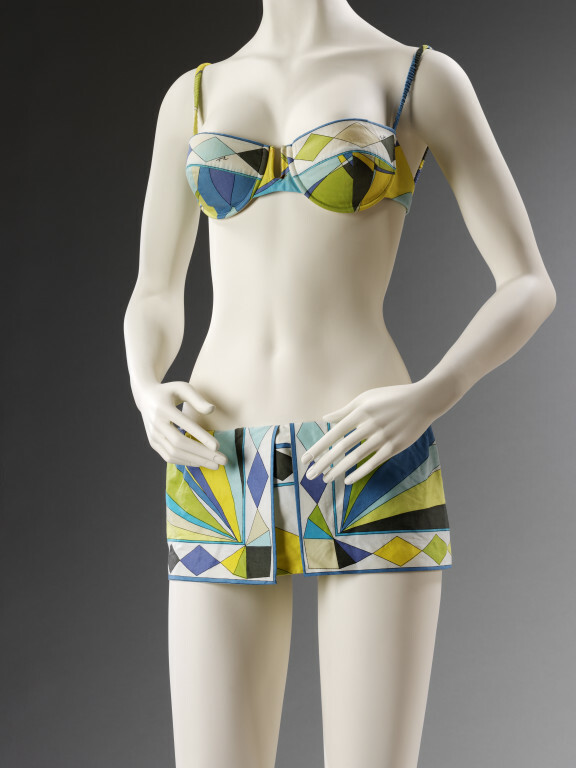 Two-piece bikini top and bottom of cotton with a geometric Pucci print in purple, yellow, aqua, blue, pale green-grey, lime green, and darkest green. Emilio signature throughout the fabric. The fabric is called "Triangolazioni".